ISIS is destroying Islam from within, striking at the hearts of Muslims and replacing the corpus of knowledge, jurisprudence and principles of legal judgments with the words of ignorant men. Islam has never been challenged from within as it is now. Scholars are therefore obliged to respond, and their response should be intellectual. 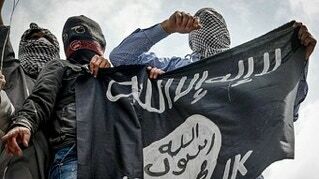 The ideology of the Islamic State (to which the media typically refers with the initials ISIS, which stands for "the Islamic State in Iraq and Syria") is based on a complex system of fallacies that cut the sacred texts from their context, and on a series of devious stratagems that select from the corpus of the law what satisfies their twisted minds. There are a great many proofs that utterly destroy the claims of ISIS and expose their manipulation of the Shariah (Islamic law), but knowledge of these proofs is confined to the classical texts and is generally inaccessible to the average Muslim reader. - Is the declaration of a caliphate by ISIS valid? - Are the crimes of ISIS justified in Islam? - Does ISIS represent Sunni Islam? - Are Muslims allowed to fight against ISIS? - Where does the ideology of ISIS come from? - What is Islam's position on fighting ISIS? - How do we protect our youth from being brainwashed by the ideology of ISIS? A number of brigades in Syria have resorted to fighting against these extremists, which has distracted many of them from jihad against the Assad regime, leading to the martyrdom of some among them. Likewise, a number of Muslim nations have declared war against this notoriously dangerous group. Fighters in Syria and other Arab nations have also enquired about the ruling of this fighting and the status of whoever is killed in these battles - particularly, they are asking if they are martyrs? For some time, discussions have been taking place in the public sphere regarding the status of pilots who participate in the war against ISIS, and while many famous scholars have hesitated in giving a ruling, some did not even consider those killed while fighting ISIS as martyrs - a position which I utterly reject. Similarly, wherever I go, I often field questions from the public about Islam's position regarding the heinous crimes perpetrated by members of this group in the name of Islam. Furthermore, a number of non-Muslims have questioned the stance of Sunni Islam regarding the actions of ISIS. Given the false categorization of the followers of ISIS as Sunni Muslims that has proliferated in the public imagination, many non-Muslims are seeking clarity as to what degree the views and actions of ISIS represent Sunni Islam. The actions of ISIS contradict the Shariah, their claims to a caliphate are invalid, and fighting against them is an obligation for those in the region in order to dismantle their criminal entity. The need for clarity is intensified by the fact that a number of Western media outlets have jumped at the opportunity to promote a false equivalency between the ideology of ISIS and the position of mainstream Muslims - Fox News being the most prominent among them. These media outlets have found substantial material in this group's fatwas, positions and crimes to promote a fear of Islam among the Western populations, in a time where the tide of moderate Islam in the West is rising, as is the number of those entering the faith. Due to the gravity of the subject and my obligation to expound upon the ruling of Allah Almighty concerning it, I have compiled a concise book and made it a detailed fatwa explaining the legal ruling of fighting the Khawarij in general and ISIS in particular. I derive the conclusions that the actions of ISIS are in complete contradiction to the Shariah, that their claims to a caliphate are invalid, and that fighting against them is a legal obligation for those in the region in order to dismantle their criminal entity. The Khawarij are a sect which appeared in the first century of Islam and have manifested throughout the centuries since. It deviated from mainstream Islam and was known for killing Muslims under allegations of takfir, which means accusing a Muslim of becoming an apostate. According to the words of Prophet Muhammad (PBUH), the followers the Khawarij are described as "the dogs of Hell" and "the worst of both men and animals." Although the historical sect of the Khawarij does not exist today, we have clear proofs in the Prophetic Traditions that it would emerge at various times throughout the centuries of Islam. The comparison between the crimes and practices of ISIS and the description of the Khawarij mentioned in the words (hadith) of the Prophet elicits my conclusion that ISIS is the modern-day Khawarij, implying that its followers are deviators and that fighting them is obligatory. Every imam, speaker and teacher of faith in Islamic institutions carries a responsibility before Allah Almighty to rescue the laity from the clutches of disbelief, misguidance, death and destruction. ISIS uses Islam and fanciful notions of jihad to recruit the youth and deceive Muslims around the world who feel oppressed by conjuring dreams of establishing an Islamic State from China to the Atlantic that would protect their interests. The question is, do the followers of ISIS not realize that their mission is impossible to achieve? The answer is clearly no, because they live in a world of false prophecies and delusions, believing a miracle will enable them to emerge victorious. For this reason, they are happy to destabilize the region, tear Syria and Iraq apart, draw the United States into a military intervention and provoke Iran. By fighting the world, they have an underlying goal that we should never allow to happen: to provoke the West against the Muslim world, thus giving legitimacy to their fight and an impetus for angry Muslims to join their cause. It is thus worth pointing out the overwhelming suspicion surrounding this group, its instigators, its alliances and its objectives. Who is behind ISIS? How did it succeed in dominating Mosul and Ramadi? Why does it target the militias fighting the Assad regime in Syria? Why is it attempting to eradicate any history in the region through demolishing relics? Why is it propelling minorities to migrate from the region? Why is it persecuting Sunni Muslims? Why is it sparking hatred between sects and sowing dissension between clans that have lived harmoniously for centuries? Why is it making deals with the same Syrian regime that it professes to oppose? These are all questions that raise significant doubt and suspicion, emphasizing the point that perhaps there are nefarious strategists behind the rise of ISIS, and that Islam is nothing but a cloak worn by this group to fulfil ulterior motives, thereby distorting the image of Islam in the public conscious and portraying it as a barbaric religion far removed from civilization, humanity, mercy and justice. ISIS is instigating a vast propaganda campaign and justifying the heinous crimes it is committing under the pretext of supporting Islam and implementing the Shariah, thereby attracting the hearts of many of the laity. Every imam, speaker and teacher of faith in Islamic institutions and colleges carries a responsibility before Allah Almighty to rescue them from the clutches of disbelief, misguidance, death and destruction. The strength of Muslims is not in their numbers or material resources, but rather in their belief, humility and obedience to Allah Almighty. Lest despair arise over the proliferation of this criminal group, I bear glad tidings to Muslims that victory over these Khawarij is imminent. Whoever dies at the hands of this group is the best of martyrs, and whoever remains patient shall be rewarded and shall witness victory. Islam has endured many malevolent groups, trials, and calamities throughout history, and through its justice and mercy, as well as its adherence to the pious scholars and righteous believers, it has prevailed. The strength of Muslims is not in their numbers or material resources, as proven by the words of Allah Almighty ("And on the day of Hunayn: behold! Your great numbers elated you, but they availed you naught" [9:25]), but rather in their belief, humility and obedience to Allah Almighty and their submission to Him. This was the state of the Muslims in the battle of Badr and Allah Almighty said regarding them, "Truly Allah helped you at Badr, when you were a contemptible little force" (3:123). The pious predecessors of the first generations provided the most superior and relevant example for all posterity: spreading Islam, opening the way for humanity to embrace it, and establishing a civilization - not by force, compulsion, or oppression, but rather by showing good character. Their excellence in conduct was rooted in being truthful in their interaction with non-Muslims, fulfilling their promises, establishing justice even when challenged, threatened, or defeated, and showing mercy to enemies before showing it to friends. In their example we find the culmination of sincerity and God-consciousness filling their hearts, mercy dwelling in their chests, and justice governing their intellects. Their model exemplifies the power of belief when coupled with good character. When our pious predecessors took the Messenger of Allah (PBUH) as their role model in worship and conduct without separating one aspect from the other, they became great and true leaders who inspired the world. They saw how the Prophet pardoned his enemies after thirteen years of oppression and eight years of wars, including the pardoning of Wahshi, the killer of his own paternal uncle Hamza, and the pardoning of Hind, the woman who chewed Hamza's liver upon his martyrdom. They understood the Prophet's definition of a Muslim when he said, "The perfect Muslim is he from whom others are safe from his tongue and hand." This is how a Muslim is recognized by the rest of humanity and how his or her belief is relevant to the society in which he or she lives. The pious predecessors of the first generations provided the most superior example for all posterity: being truthful in their interaction with non-Muslims, fulfilling their promises, establishing justice even when threatened, and showing mercy to enemies before showing it to friends. As time passed and true faith became diluted, some of these principles were forgotten, thus paving the way for small fanatical groups which claimed a monopoly on true Islam to emerge. Others grew disillusioned, partly due to the cultural shock of the West and its ideals, and therefore abandoned their history and neglected their heritage, falling victim to the media's portrayal of Islam as a barbaric religion incompatible with modernity. In the process, we left the unique qualities of our faith, which creates an unbreakable link between the theological and spiritual foundations and the social and ethical conduct expected of its believers, as was demonstrated to us in perfection by our Prophet (PBUH). Consequently, the Muslim nation as a whole plunged from strength to weakness, from honour to humiliation, from a revered community to one of disrepute. The only cure is to return to the supreme example presented by the Messenger of Allah (PBUH) by adhering to his Sunna, embracing his guidance, adorning ourselves with his character, and following his heirs: the pious predecessors and righteous scholars. The foundational ethics of Islam are based on mercy, wisdom and justice. The Messenger of Allah (PBUH) was only sent with mercy and wisdom. He said, "Allah, the Most Merciful, is merciful only to those who show mercy. Be merciful to all on the Earth and the Master of the Heavens will show mercy to you." Saladin (d. 1193), the famous Muslim ruler at the time of the Crusader invasion during the Middle Ages, did not enter the annals of history but for his character, justice and good conduct with his adversaries during both peace and war. The Levant shall always remain a cornerstone of Islam, a pillar of the Qur'an, and a land of saints. Its people, especially the Syrians, will remain content with His divine decree, enduring hardships with patience and ever in a state of gratitude for His apparent and subtle blessings. No matter how long it takes, victory is near, as promised by Allah Almighty. However, the real question is not when will victory come, but rather, do we deserve it? If we do not, then we should endeavour to fulfil the conditions of victory within ourselves if we hope to witness it around us. From the very onset of the uprising in Syria, I have exposed the reality of the Assad regime, fought against it, and disapproved of its crimes in public forums and on the Friday pulpit. I have never hesitated in my positions; however, I cannot accept among our ranks in the war against this regime anyone who perverts the religion, distorts the reality of jihad, deceives the people of the Levant, steals the fruits of their struggles, and tortures them, especially after the Assad regime mastered torture techniques against its own people for over half a century. The distance between ISIS and the noble qualities of the Messenger of Allah (PBUH) is as vast as the distance between the east and the west. Just as I saw the beginning of the end for the Assad regime, I also see the beginning of the end for this sinister group. This is because their followers are destroying the religion from within, striking at the hearts of Muslims, and replacing the corpus of knowledge, jurisprudence and principles of legal judgments that have reached us with the words of ignorant men. These men have never smelt the scent of knowledge and have not embodied even the lowest level of piety, and have not tasted humility in obedience towards Allah Almighty. The distance between them and the noble qualities of the Messenger of Allah (PBUH) as the distance between the east and the west. Every science has its own experts, many of whom would spend fifty years reading, revising, researching, teaching and authoring. If they were asked regarding an issue they would stop and ponder. They would not be content with what they acquired throughout their lives, but would persist in contemplation and reflection. They would resolve an issue through revision and research out of fear of Allah Almighty lest they show haste in making a legal judgement or err in giving fatwa. There is no scholar among these criminals who is an authority for Muslims, whether in belief, jurisprudence, or legal judgements. There isn't even a student of knowledge among them who has taken from trustworthy experts, so how can they embark on issuing fatwas and giving legal verdicts? They pass judgement about killing without a second thought, as though slaughtering humans is easier than slaughtering livestock. The followers of ISIS are destroying the religion from within, replacing the corpus of knowledge and principles of legal judgments with the words of ignorant men. Evident as he looks like a learner"
Sunni Muslims in Iraq have suffered from the injustice of the Maliki regime and the people of Syria have suffered from the terror of the Assad regime. Then came ISIS to increase the injustice and terror, leaving the innocent citizens of Iraq and Syria stranded between two horrific options. I say to those who are exposed to injustice and oppression in Syria or Iraq: Have patience as victory is near. Don't let despair or revenge lead you to being deceived by ISIS and joining it. ISIS only wants to subjugate, enslave and humiliate you by using the name of religion instead of dictatorship or socialism. O Allah! Bless us with awe of you and piety. Fill our hearts with what pleases you. for truly you are the All-Hearing. O Allah! Help your oppressed servants. use us to guide humanity, speak the truth, and aid the troubled. O Allah! Bestow your mercy upon us and upon our martyrs. alleviate the sadness that afflicts us. put our affairs in order, and unite us. spread peace and security in our lands. O Most Merciful! You are most generous. All praise belongs to Allah, Lord of the Worlds. Shaykh Muhammad Al-Yaqoubi is a world-renowned Islamic scholar of theology, jurisprudence and Prophetic tradition, and a spiritual leader of thousands of Muslims across the globe. He has been named one of the world's most influential Muslims for the past five years. Prior to being forced into exile, Shaykh Al-Yaqoubi was a teacher in the famous Grand Umayyad Mosque of Damascus. He was one of the first scholars to denounce the Assad regime in Syria and, subsequently, the rise of the Islamic State. He has been active participant in the attempt to form a credible political alternative to the Assad government and has campaigned internationally for the provision of humanitarian aid for Syrian refugees. 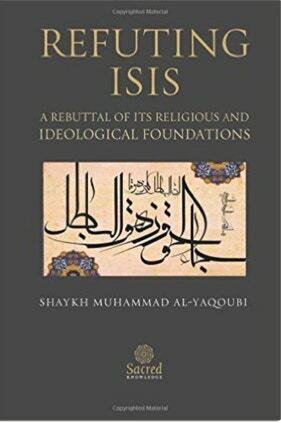 His most recent book is Refuting ISIS: A Rebuttal of Its Religious and Ideological Foundations, from which is article is adapted.